At the age of eighteen, Guru Nanak Sahib Ji, was sent by his father Bhai Mehta Kalu Ji to the city to do business. His father was disappointed that Guru Sahib's mind was not into farming and other worldly work, therefore, he thought perhaps engaging him in trade would firstly, be a good profitable profession, and secondly his son would be happy all day talking to his clients about his business. Thinking this way and choosing an auspicious day, he called Bhai Mardana Ji to accompany Guru Sahib. "What about Bhai Bala Ji? I heard from our Gurdwara Giani Ji that Bhai Bala Ji accompanied Guru Nanak Ji." Historically there is no such character called "Bhai Bala Ji" who was the companion of Guru Nanak Sahib. Yes, I am sure there were many Bhai Balas. But there was no Bhai Bala Ji as described by "Sants," "Babé," or misguided parchaariks (preachers). There are historical sources from the times of Guru Nanak Ji, such as land records and local government writings, which includes the name of Guru Nanak Sahib Ji, Bhai Mardana etc, however no Bhai Bala Ji. This article is not intended to be on the issue of Bhai Bala Ji, therefore I will not go deeper into the discussion. Pita Kalu Ji gave twenty rupees to Bhai Mardana Ji and said, "Go with Nanak. Buy and bring some genuine goods by selling of which we may make profit. In this way if you make a profitable transaction, next time I will send you with more money to buy goods." Guru Nanak and Bhai Mardana Ji started from Talwandi towards Choohar-khaana to purchase some merchandise. They had hardly gone ten or twelve miles from the village when they came across a village affected by disease, where the people were thirsty, hungry and sick due to lack of water and an outbreak of disease. Guru Nanak Sahib Ji said to Bhai Mardana Ji, "Father has asked us to carry out some profitable transaction. No bargain can be more truly profitable than to feed and clothe these naked and hungry children and adults. I cannot leave this true bargain. It is seldom that we get an opportunity to carry out some profitable transaction like this." Guru Nanak took all the money from Bhai Mardana Ji and took it to the next nearest village dwelling, where he bought plentiful supply of food and brought water for the disease-ridden village. Guru Sahib invested the twenty rupees into what we today call "Langar." Someone reading this may be confused and thinking, "I was told by Giani Ji at the Gurdwara that Guru Nanak Sahib Ji fed hungry Sadhus (group of hermits) sitting in the jungle." Why are we confused? 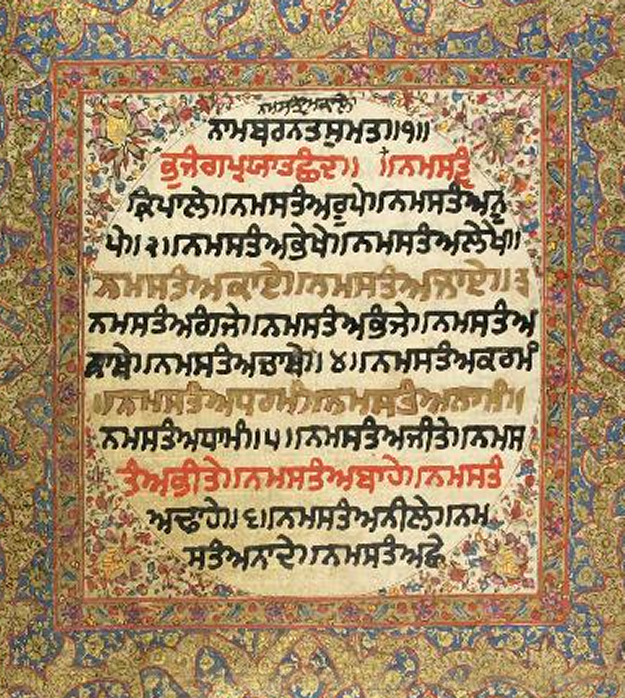 If we read Gurbani, contemplate Gurbani, and understand our Guru, then how can we be possibly confused? The sad thing is that we have for too long relied on "Saadhs," "Sants," "Babé," and ignorant parchaariks to tell us what Guru Ji says, what Guru Jis teaches, and how Guru Ji lived his life. We use little or no rationality or logic to verify whether what we are being told actually collates with the rest of history, with Gurbani or with facts! Yes, this is why we are confused. Guru Sahib tells us that instead of walking about like Sadhus, not working for a living and replying on handouts from begging from door to door, it is better to life as a householder who works for an honest living and then share with others. So why would Guru Nanak Sahib Ji support those people who don't believe in working for a living, believe in relying on handouts, and not doing any sewa (selfless-service) of humanity? Now let us look at the history of Guru Gobind Singh Ji and compare it to the distorted story of "Sacha-Sauda" where it is claimed Guru Sahib fed hungry "Sadhus". One day Dasam Pita, Guru Gobind Singh Ji Maharaj, was sitting with the Sangat and having a discussion. He stopped and asked, "I feel thirsty. Kindly can someone go and get me some water." One Singh stood up and offered to go and get the glass of water. He was tall and handsome and looked as if he was the son of a wealthy home. First of all the Singh washed his hands. Then he washed a glass. With great cleanliness and hygiene he brought forward a glass of water to Guru Gobind Singh Ji. The all-knowing Guru Sahib asks him, "Have you ever given water to drink to anyone else?" He replies, "Maharaj, in our house we have a lot of servants and maids." "That means you have never given your mother water to drink?" asked Guru Ji. "Maharaj!" He replies. "I haven't even ever given my father something to drink. We have a lot of servants. Serving my parents water is on the side. I don't even have to get water for myself, the servants do that for me." Satguru Guru Gobind Singh ji replies back, "If you have never ever given your mother water to drink, then I will remain thirsty, but I will not drink the water given to me by your hands." Guru ji is thirsty but he gets the glass and places it to the side. "Oh innocent one, your mother and father are 'rab da roop', they are the image of Waheguroo. If you have never given water to your parents, then that is fine. I will then remain thirsty and not drink the water from your hands." The boy put his hands together and asked forgiveness from Guru Ji. "Satguru, I will now serve my parents from now. I made a mistake unknowingly and out of ignorance. Today I promise you, that from now on I will serve my mother and father." Satguru Ji gave his blessings and said, "O Gursikh, if you do seva, then Guru Nanak Ji will fill your home with happiness." Does it make logical sense that Guru Gobind Singh Ji on one hand refuses to drink the water given by someone who has not done work with his hands, and on the other hand we claim Guru Nanak Sahib gave food and fed unemployed men who don't believe in working with the hands or serving others. May God bless us all with wisdom. Back to the factual story of "Sach Sauda." As well as bringing food and water to the villagers, Bhai Mardana Ji and Guru Sahib brought clothes for with the money that was left. Taking leave from the villagers, they started back empty-handed. When both reached near Talwandi, Guru Nanak said to Mardana Ji, 'You go to the village alone, I shall sit at this well." Bhai Mardana Ji went to the village and narrated the whole story to Pita Mehta Kalu Ji. He told him where Guru Nanak was sitting. Mehta Kalu was very angry that they had wasted money on feeding, clothing and taking care of needy people. Putting aside all work he took Bhai Mardana Ji along and started towards the well. Reaching the well, he caught hold of Guru Nanak and slapped Guru Sahib. For Pita Mehta Kalu Ji, amassing of wealth was the only true bargain because in this world it is money which is the mark of nobility, it is the wealthy who is wise, only the rich are considered gentle, honest, pious and lovers of mankind. The means by which the money has been earned are of no consideration. Only those who make true transaction think about the ways and means. At the place where the true bargain took place, Gurdwara Sacha Sauda Sahib is built. In current day Pakistan the Gurdwara Sacha Sauda is in the city of Farooqabad. On Guru Nanak Sahib Ji's gurpurb local Muslim residents were interviewed in Farooqabad. An elderly Muslim man narrated the story of Guru Nanak Sahib's true bargain. The stories shared by the Muslim residents did not correlate with the distorted Sakhi (story) which we have been brought up with as a result of ignorance. An elderly Muslim man described the story as it is written in the article. Guru Sahib fed hungry and sick villagers, not unemployed, wandering Sadhus. He thanked Guru Sahib for saving his ancestors from sickness and coming to their aid. This is the foundation of Guru-Ka-Langar. Twenty rupees invested by Guru Nanak has led to Sikhs all over the world doing sewa of the needy, poor, sick and living the message of living in a household while sharing with others, as instructed by Guru Amar Das Ji. Doing good to the people is the way of a Sikh. Sharing with the needy, makes the day of a Sikh. The true bargain of life is sharing one's earning with the needy and helping in whatever way we can.